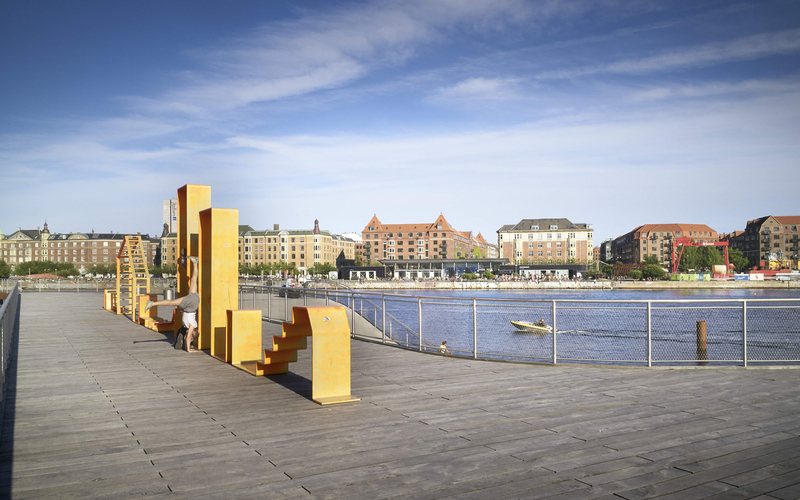 Kalvebod Brygge is situated opposite the popular Copenhagen summer hang out, Islands Brygge. 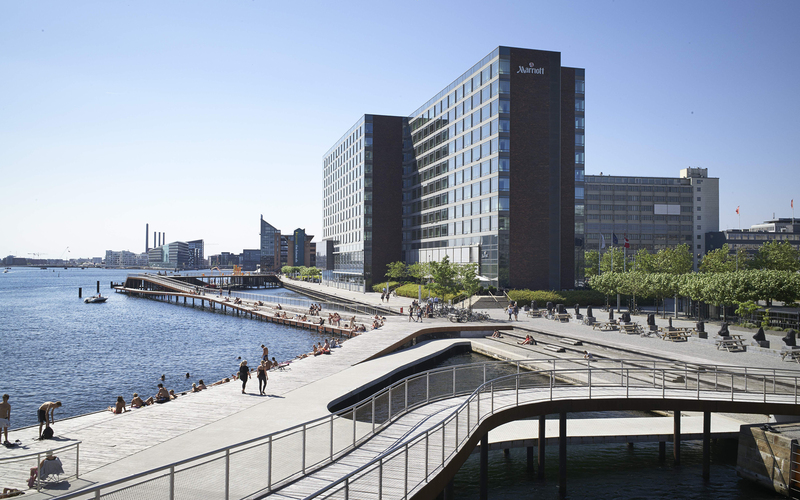 Kalvebod Brygge has the potential to be Islands Brygge’s more urban counterpart but has, until now, been synonymous with a desolated office address devoid of life and public activities. 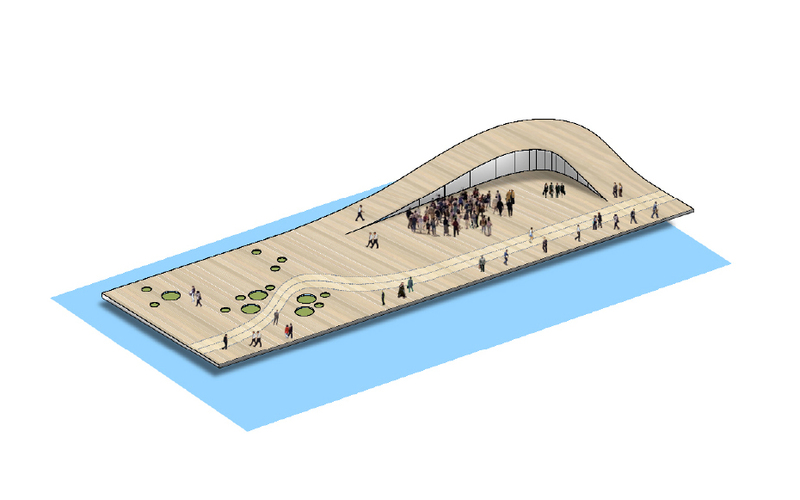 This new waterfront will be a place for a larger spectrum of public activities. 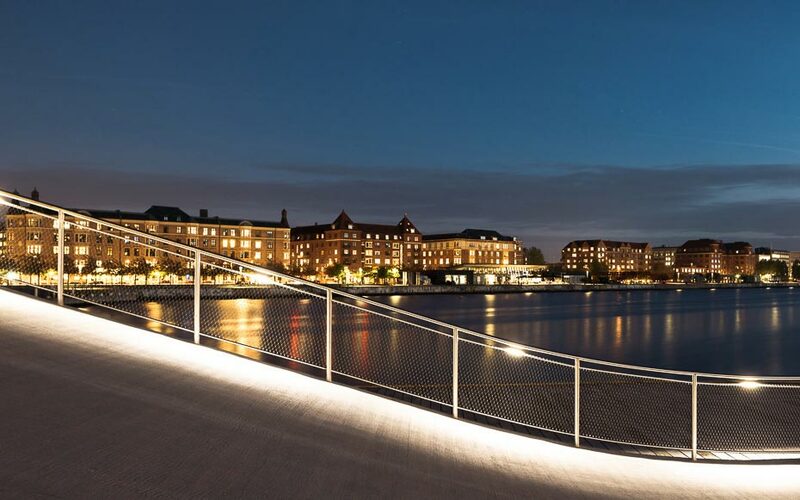 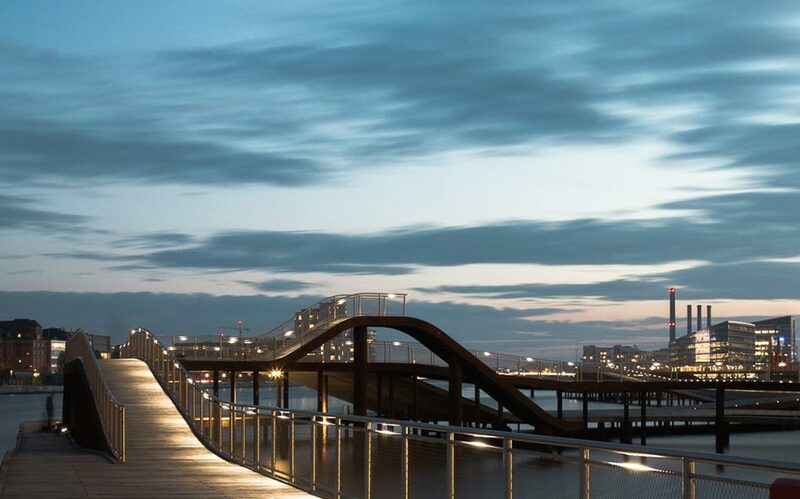 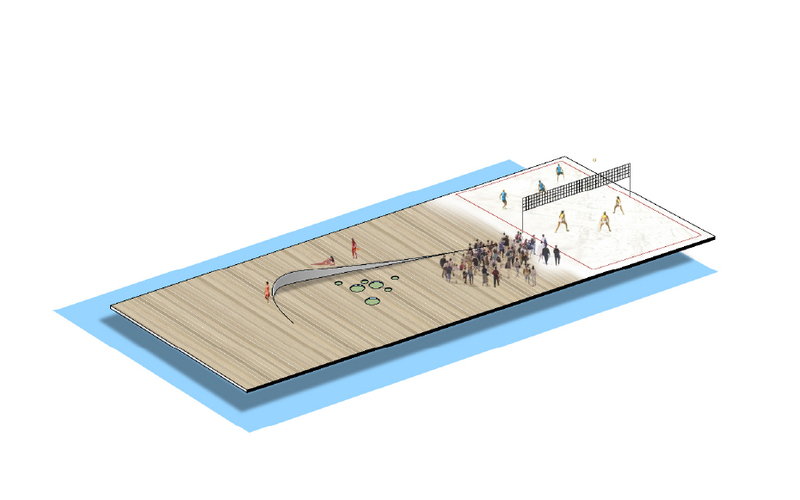 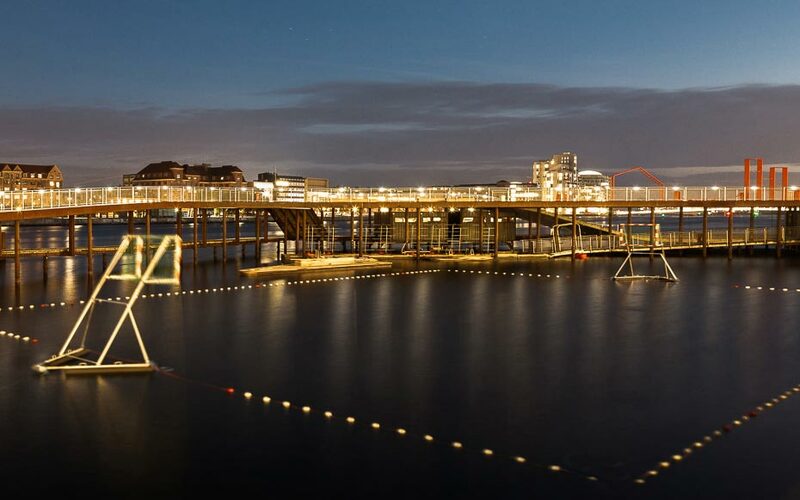 With a close connection to the central train station and Tivoli, Copenhagen’s famous city amusement park, ‘Kalvebod Bølge’, the ‘Kalvebod Waves’ will become a hub, buzzing with activity and providing a chance for the inner city to regain its connection to the harbour. 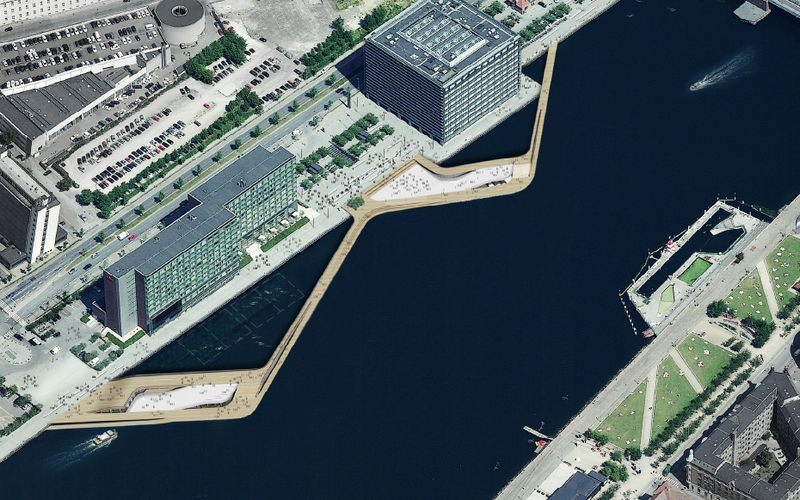 Constituted more by its functionality than its tradition, this inner city site is less fragile than others and manifests Copenhagen’s contemporary urban waterfront with neighbouring entities such as the Black Diamond Library and the Nykredit building. 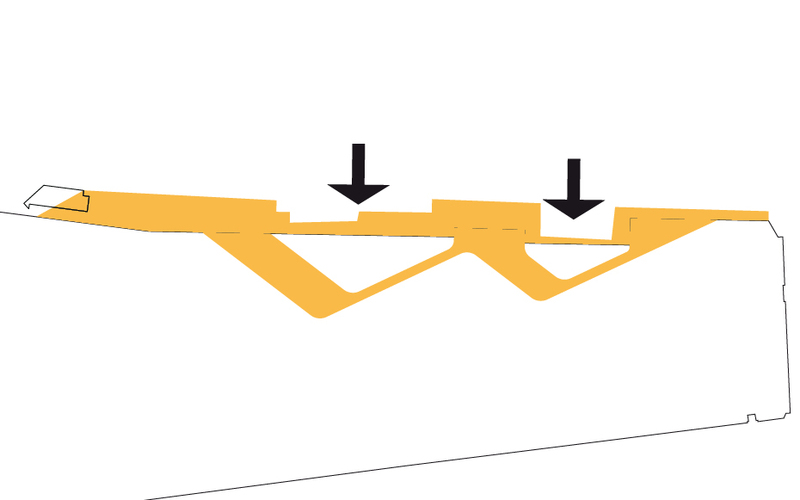 According to the schedule the complex should be finished mid 2010. 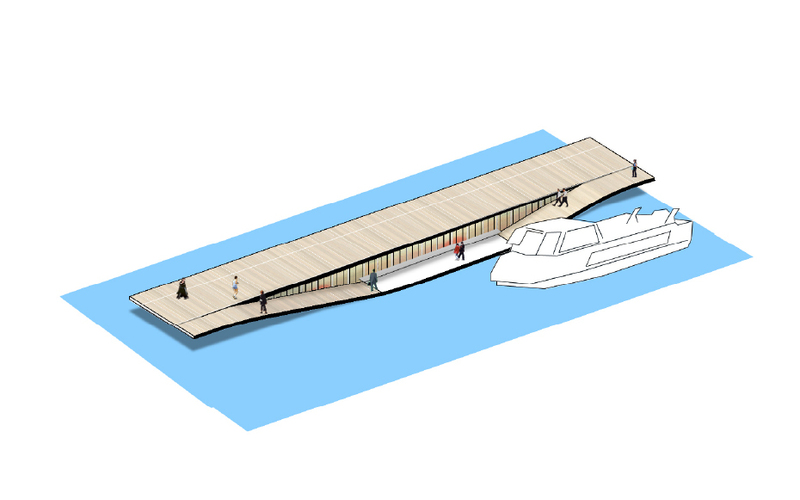 The project consists of two main plazas, which extend across the water and are positioned with regards to sunlight and wind conditions. 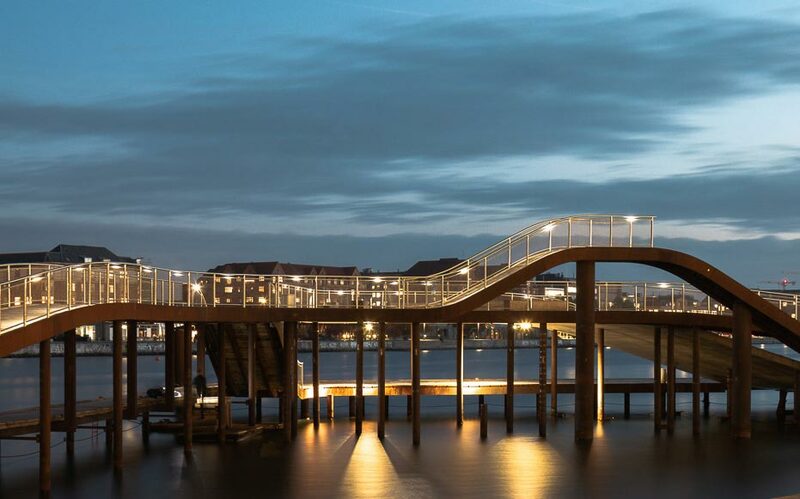 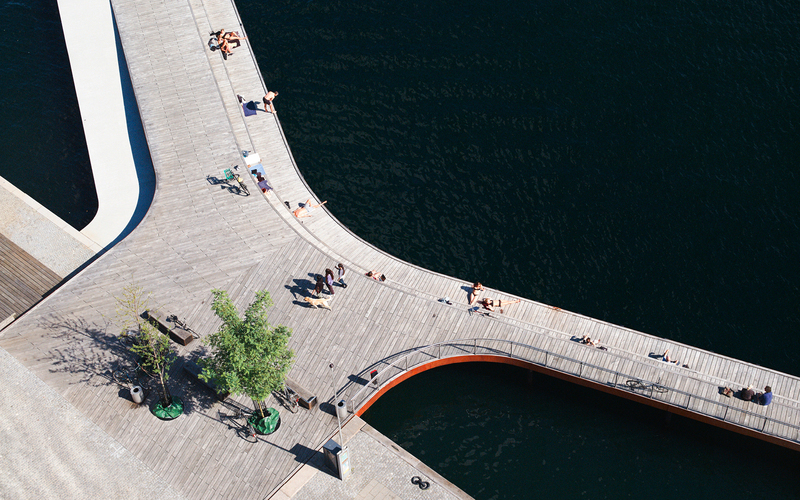 To the south, the pier allows for a flexible public space on the water with facilities to host events related to the creative industry. 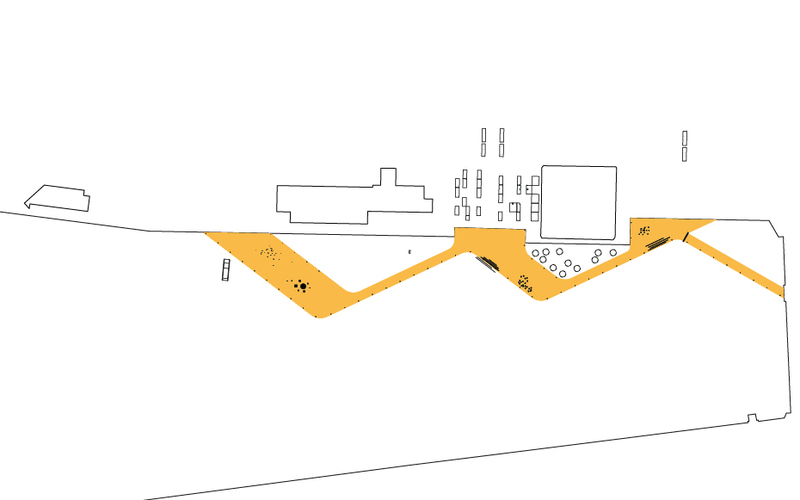 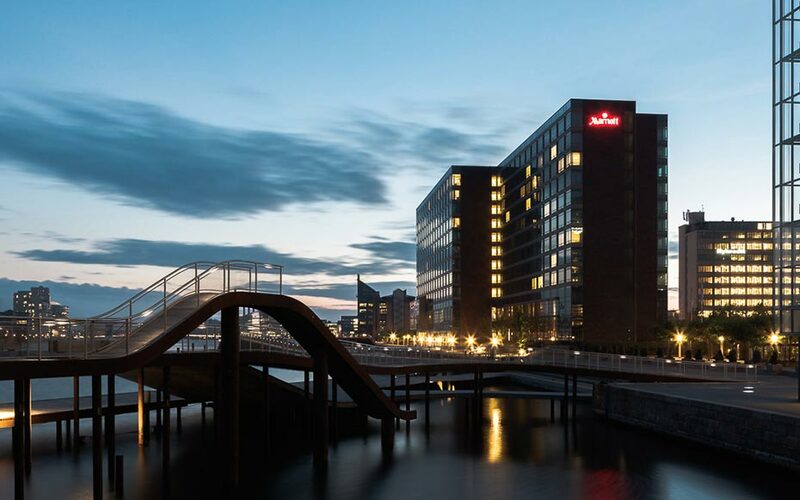 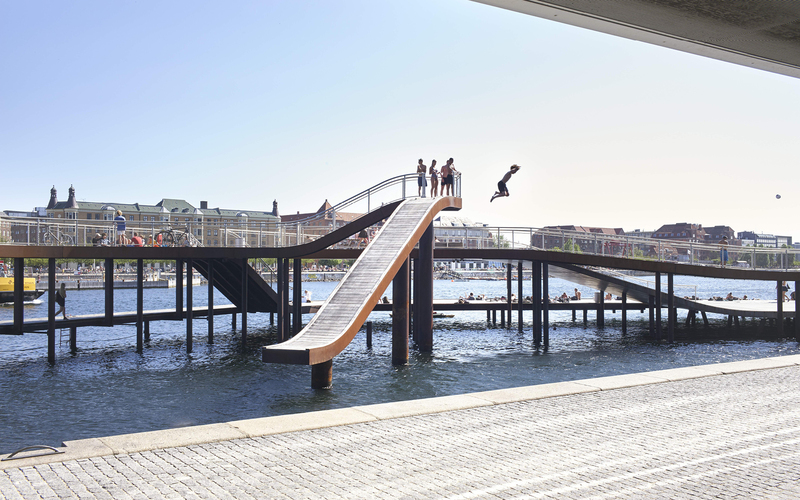 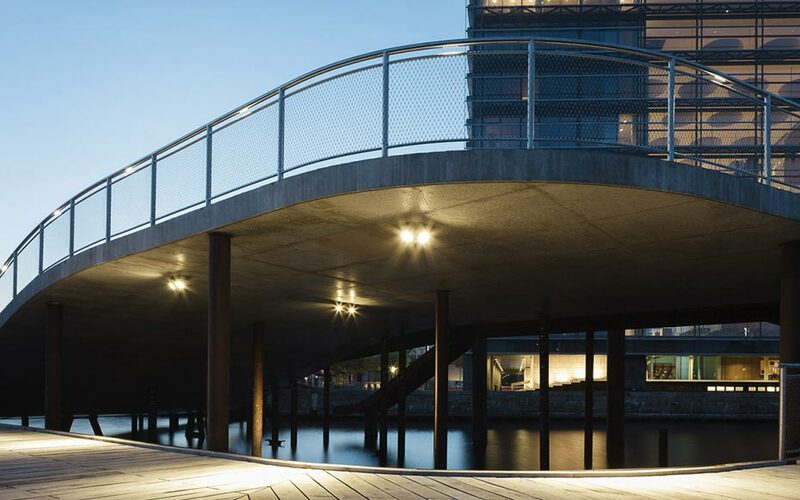 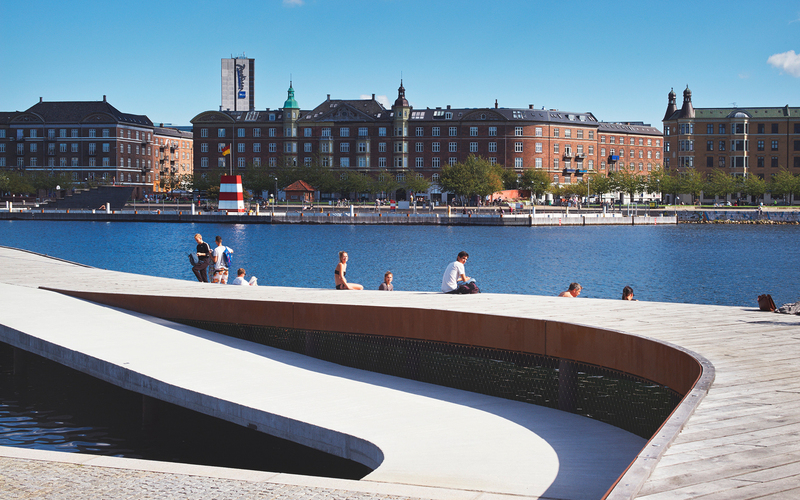 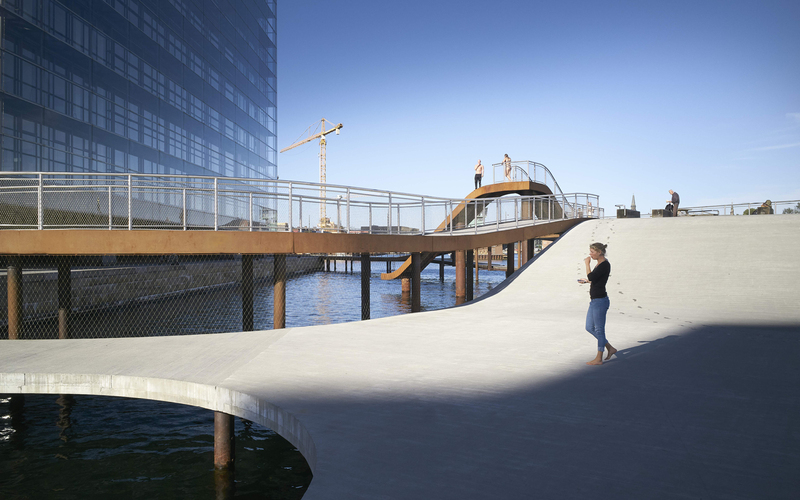 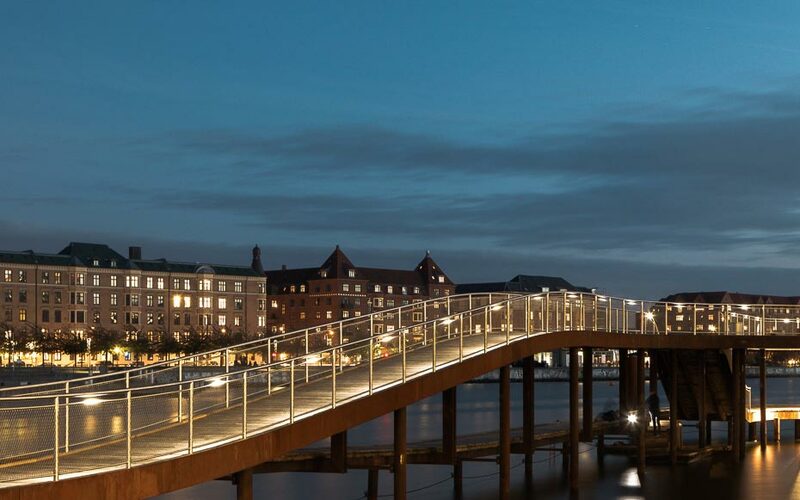 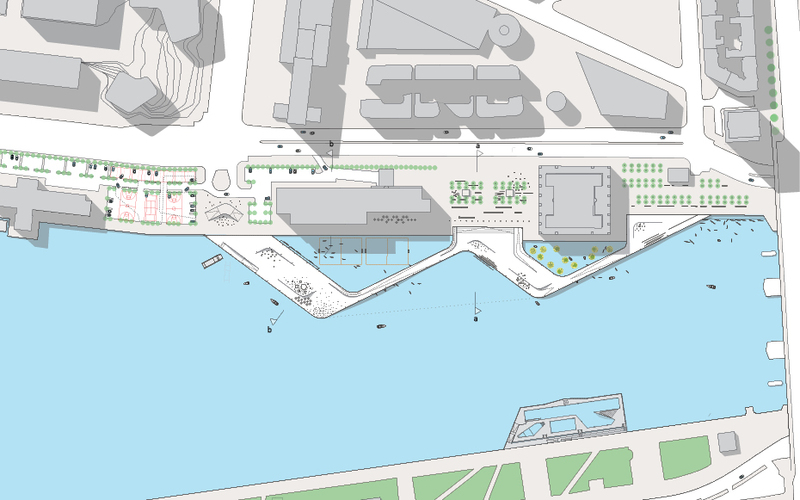 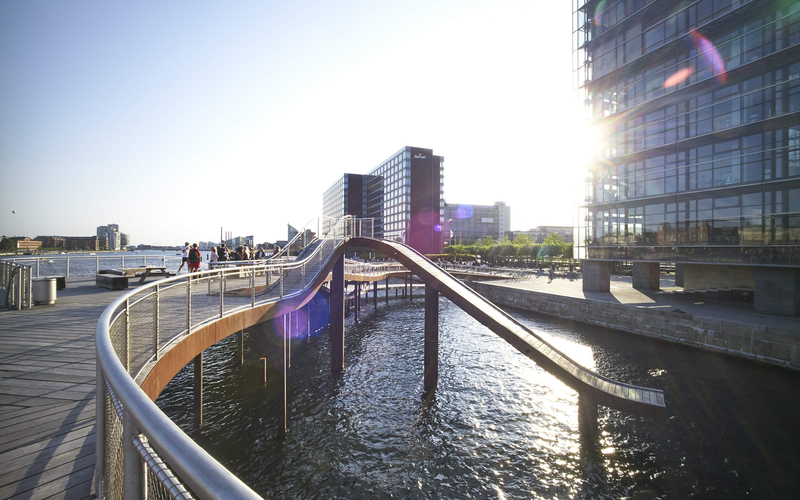 During the last 10 years Copenhagen has developed into a stronghold for the creative class, therefore Kalvebod Brygge proposes an urban showcase that gives organizations, companies, festivals and fairs a location along the waterfront. 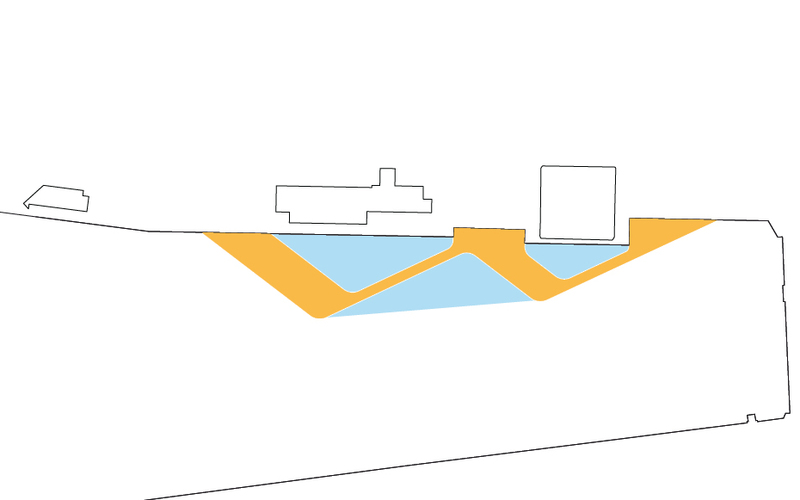 In connection with this space, an active water enclave is created, for various water related activities. 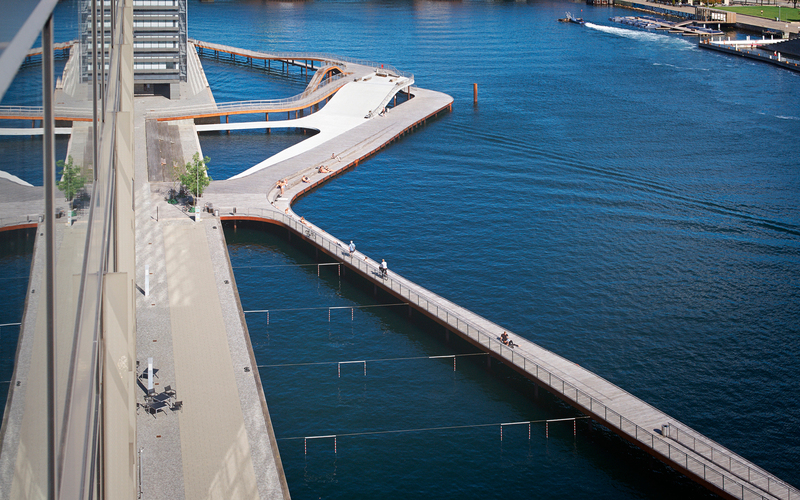 The plaza and surrounding pontoons provide the necessary facilities for these activities to function. 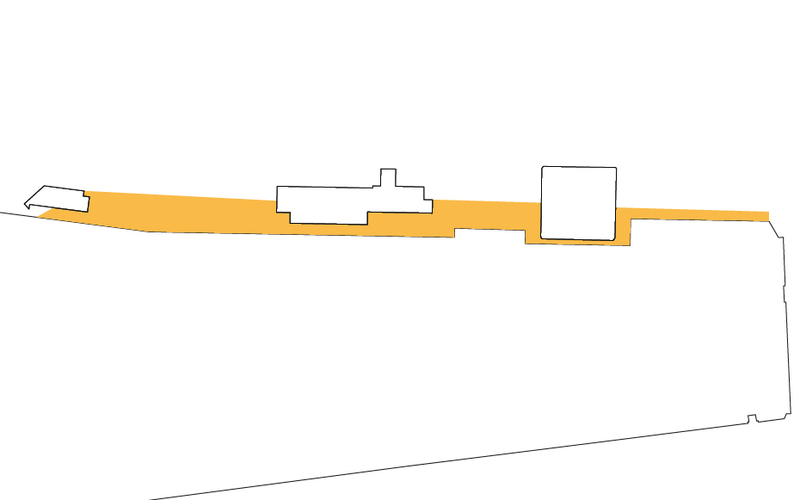 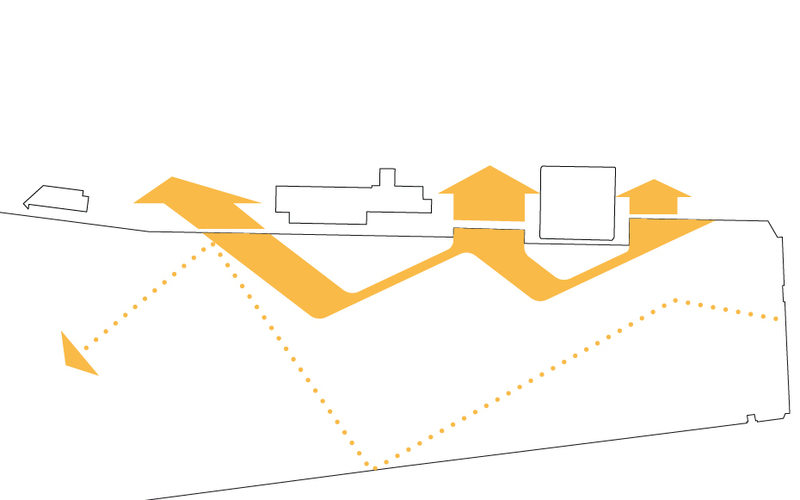 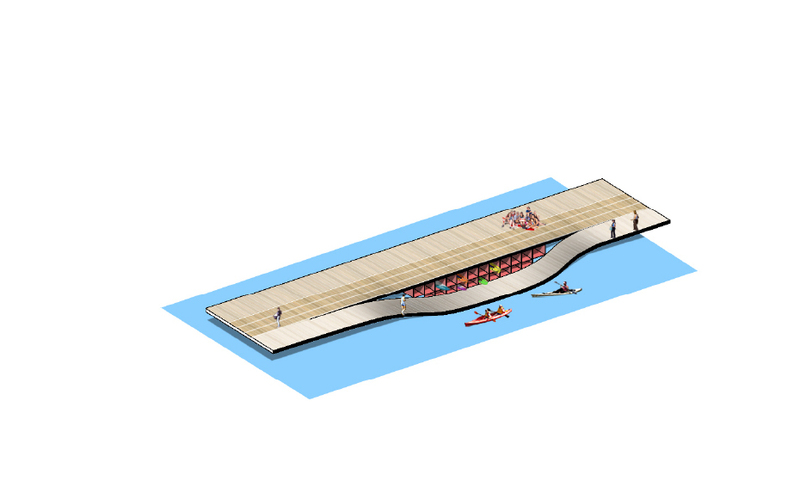 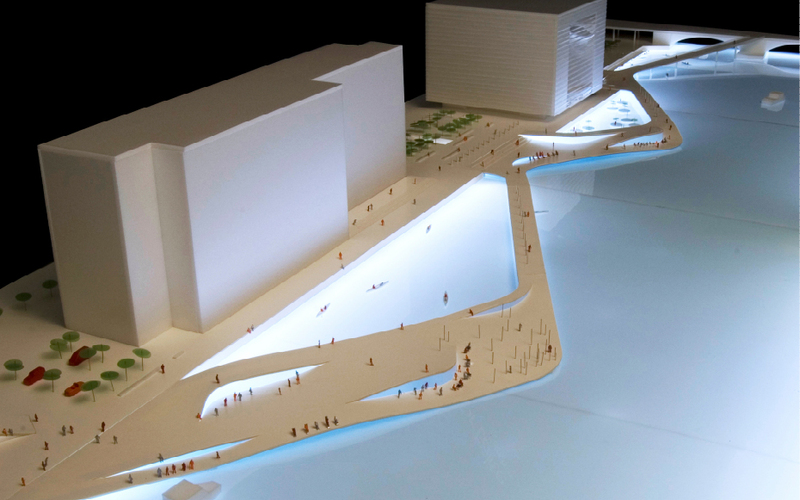 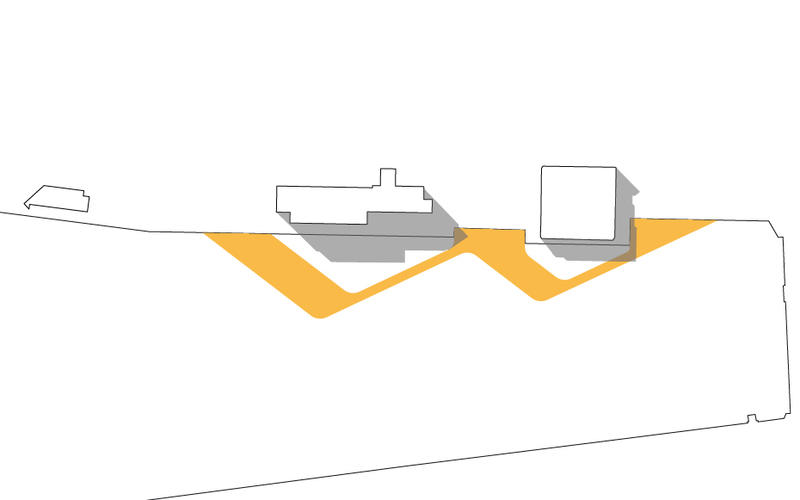 The flow of boats that commute to and from the water hub also creates an active maritime background and secures the connectivity of the plaza to the rest of the city. 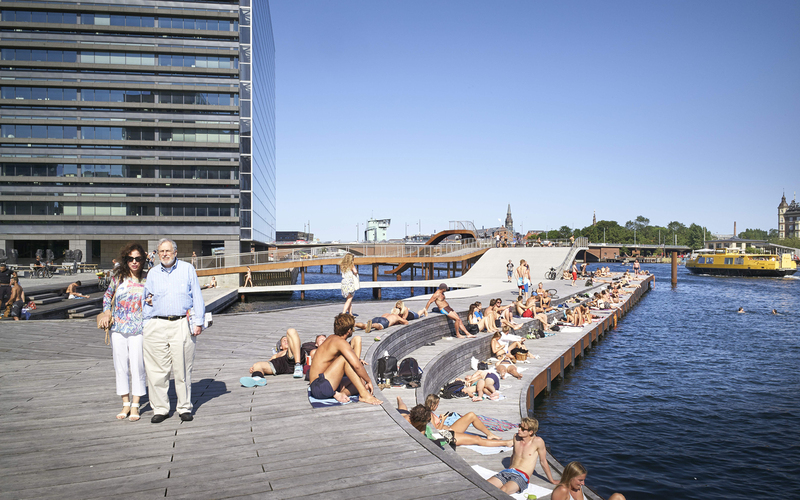 The second square acts as an oasis on the water, providing both proximity and access. 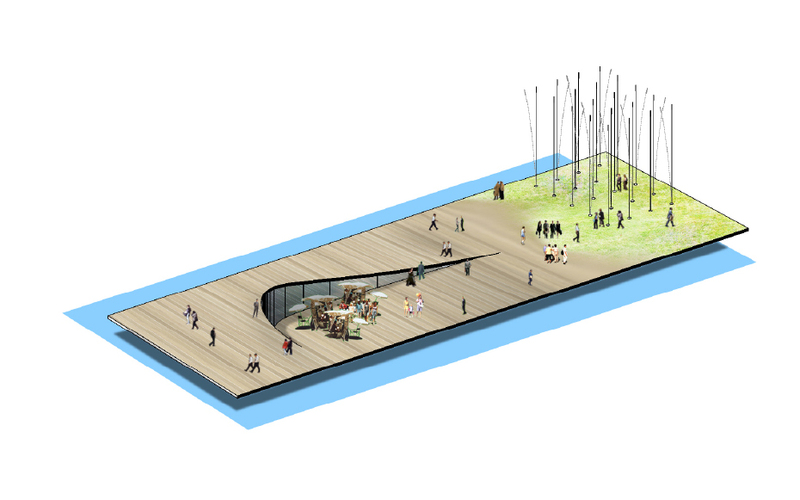 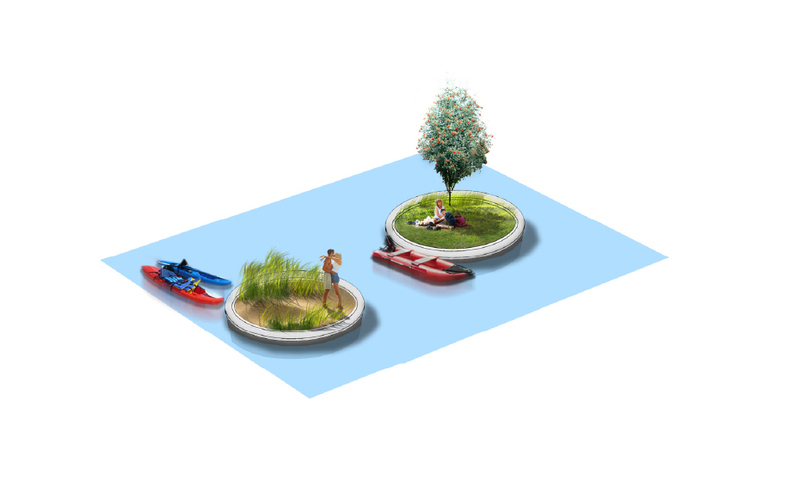 This recreational space, with a beach, allows for a break from the hectic pace of urban life, where a floating garden is proposed. 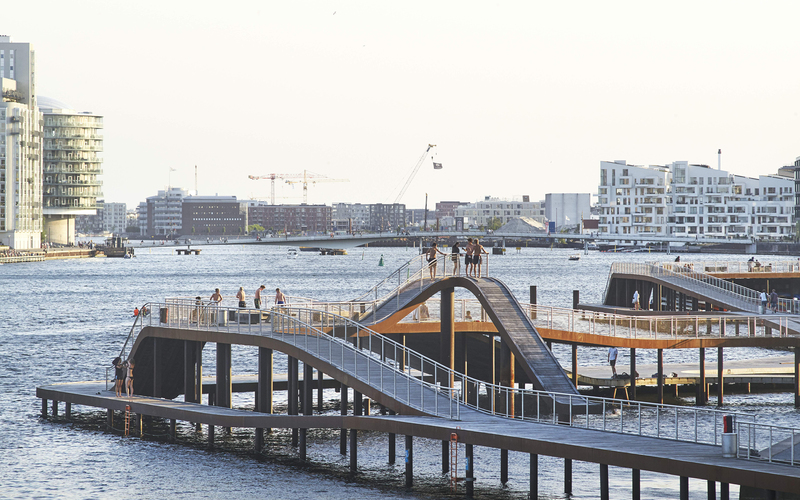 A maritime park where urban and maritime life meet.